The firm actively promotes and contributes to a number of charities and nonprofit organizations. For many years, the firm has provided volunteer and financial support to Misericordia Home, a Chicago residential facility that serves children and adults with mental and physical disabilities. For one Sunday a month from October through June, our attorneys and staff cook, waitstaff, clean, and bake at Misericordia’s Sunday brunch. Recently, some of the workers were pictured in Chicago Social magazine for their volunteer work at Misericordia. The firm has also worked with the CARA Internship Program. CARA assists the homeless and at-risk population to become economically self sufficient. CARA staff workers reach out to shelter providers and other agencies to identify individuals who are motivated to succeed through employment. Then, with the help of organizations and companies like Corboy & Demetrio, they are trained and placed into the work force. Access Living, an organization committed to the advocacy of persons with disabilities, offers services for peer-oriented independent living. 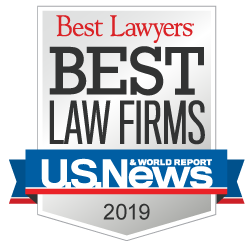 It was founded in 1979 by a former Corboy & Demetrio client, Marca Bristo, who was rendered a paraplegic in a swimming accident in Lake Michigan. Several clients and their families have benefitted greatly from this organization and the firm continues to provide financial support for its endeavors and programs. Most recently, C&D financially supported its capital campaign, "Living the Vision." Mercy Home for Boys and Girls, a long-term residential home for troubled young men and women, has been supported by C&D for many years. In addition to contributing to its many fundraising activities, the firm is a major sponsor of the Leader Council Graduates’ Luncheon, which raises funds for scholarships for the Home’s residents. Corboy & Demetrio is proud to be a supporter of the Corporate Internship Program at Cristo Rey High School, located on the near southwest side of Chicago. This innovative program is designed to give students the opportunity to work at least one day per week at leading Chicago businesses in order to offset the cost of tuition. The students not only help pay for their own education, they gain valuable work experience in an environment where they may never have had exposure but for this program. Corboy & Demetrio has supported the Program for many years and is very proud of its on-going partnership with Cristo Rey and its extraordinary students. In honor of members of the Chicago Police Department who have lost their lives in the line of duty, the Chicago Police Memorial Foundation was established to support and assist the families left behind. 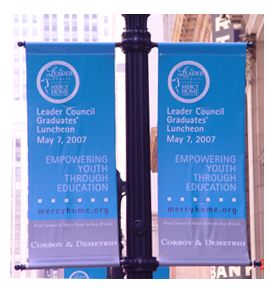 Corboy & Demetrio has been a proud and generous supporter of the Foundation since its inception. The Court Appointed Special Advocates (CASA) program in Cook County, Illinois, uses trained volunteers to help abused and neglected children, who are taken from their home and placed in temporary foster care, to find a safe and permanent home. The Advocates are appointed by judges and act as officers of the court. Corboy & Demetrio has supported the tremendous work of CASA by generously contributing to its annual fundraiser. The firm also contributes to Coordinated Advice and Referral Program for Legal Services (CARPLS), a Cook County hotline program that provides free legal advice and referrals to low-income individuals. For many years during the holiday season, contributions by the lawyers in the firm in the names of Philip H. Corboy, Thomas A. Demetrio and Philip Harnett Corboy, Jr., were made to Cristo Rey Jesuit High School in Pilsen, St. Elizabeth’s Church across from the Robert Taylor homes, Maryville Academy, Misericordia and Holy Family Church in Waukegan. Due to our history of involvement in the litigation of commercial and private aviation disasters, we have been long-time supporters and contributors to the National Air Disaster Alliance Foundation. It is a tremendously effective organization that addresses the needs of survivors and those affected by airline disasters. Corboy & Demetrio is a Patron Sponsor of the Leadership Awards Luncheon of TASC (Treatment Alternatives for Safe Communities), a statewide, nonprofit agency that works to build and sustain communities by promoting policies and practices that stop the cycle of drugs and crime.